With over 220,000 nurse practitioners working in the United States, it seems a farfetched idea that there’s a nursing shortage. However, there is. And with the growing need for more primary healthcare givers due to the population aging and more accessible insurance coverage, it’s becoming critical to start filling in those nurse practitioner roles that are opening. So, if you’re considering going into nursing, find out more about what it takes to become a nurse practitioner! A nurse practitioner is a registered nurse with an advanced degree, holding either a master’s or doctorate in nursing. The role of the nurse practitioner came to fruition in 1965 in Colorado, created by a nurse named Loretta Ford and a doctor, Henry Silver. The nurse practitioner program was created to bring more medical care to underprivileged areas. The scope of the job has been in an upward trajectory ever since, with the role expanding constantly. Find an NP program near you. What you’ll do as a nurse practitioner depends on what your area of specialty is. Generically speaking, you’ll be trained to diagnose and treat your patients’ illnesses as well as provide education in regard to your patients and their family’s health. On any given day, you’ll be looking over patient medical records, performing physical exams, and ordering tests. Depending on the state you’re in, you can write prescriptions and act autonomously without the supervision of a physician. Because laws for nurse practitioners vary by state, the American Association of Nurse Practitioners has three categories. Full practice: Full practice states allow nurse practitioners to diagnose, treat, test, prescribe, and manage patients all under the authority of the state board of nursing. 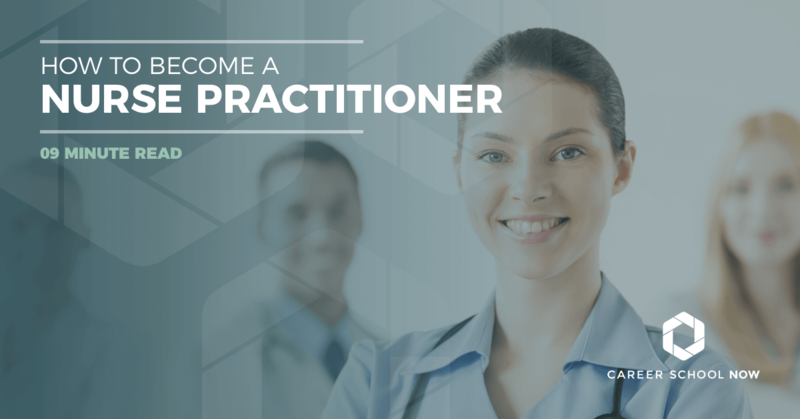 Reduced practice: Reduced practice states limit the nurse practitioner’s scope of work, and you must collaborate with another healthcare provider in at least one facet of specialty. Restricted practice: In a restricted practice state such as Texas, California, and Florida, the nurse practitioner is completely supervised under a healthcare provider of the same specialty. Going through the educational process toward becoming a nurse practitioner is a big deal, but it’s only one part of what makes up a great NP. There are certain soft skills and personal qualities that will be effective in helping you to soar in your career. Compassion: As a healthcare provider, you will be helping patients and families dealing with a wide range of illnesses. Part of your job is to guide them through their illnesses and make them feel as though you’re truly there for them with an ear, shoulder, and focused mind. Communication: As a NP, you not only need to be a people person but also have great communication skills. You will be interacting with patients, their families, and other healthcare workers all day long, every day. Being an effective communicator is paramount. Ethical: Nurses of any type are expected to act a certain way. What will guide you best are your morals, principles, and desire to help others. Confidence: NPs have to know what they are doing, and rely on their education and experience to navigate them. You’ll need to be confident with every step you make; any bit of self doubt could be detrimental to the health of your patient. Adaptability: Long hours and crazy schedules are ahead when it comes to living the life of a nurse practitioner. You’ll have to roll with the punches. Emotional stability: Nurses come across many different types of cases throughout their careers. It’s important to have emotional stability, otherwise nursing could hold emotionally dire consequences. Patience: You can have long, arduous days when you’re dealing with sicknesses. To make it as a nurse practitioner, you need to have patience of somewhat epic proportions. Detail-oriented: You must be able to pay attention to every little detail in regard to your patients. One little miss could potentially result in a catastrophe. Graduate from high school with a bunch of science courses under your belt. Also, having volunteer experience from a hospital or other healthcare facility is recommended. Becoming a registered nurse is the first step you’ll take toward your goal of nurse practitioner. You’ll have to take and pass the NCLEx-RN. Once you do, you’ll work as an RN for 1-2 years before you can enter the graduate program. You’ll have to get a license to practice. All states require that of their nurse practitioners. You must have a master’s degree and a current RN license, plus pass a the NCLEX exam in order to begin your education and training. From here, you can choose to train in one of the many areas of specialties. Many courses can be done online and often through the hospital you’re training with. There are also hybrid programs which require your in-person attendance for certain classes. There are so many different NP specialties, it can be hard to choose which one to go into. Unless, of course, you’ve already made that decision. If you’re still struggling, there are a few questions you can ask yourself that can narrow down your options. Do you like working in or outpatient? What are the most available types of jobs open in your area? What population do you like working with: children, adults, families, psychiatric, etc? How competitive is the job market in the areas of your choice? And which speciality aligns with where you see yourself in the future? Urgent Care NP: Urgent care clinics are opening on every corner across the country, creating many positions for qualified nurse practitioners. The average salary nationwide is over $104K. Emergency Department NP: Skilled emergency room nurse practitioners who work full time are earning an average salary of over $103K. Psychiatric NP: Nurse practitioners with a focus on psychiatric nursing work alongside psychiatrics and earn an average of $98K annually. Hospital Based NP: NPs based in the hospital manage the patients from admittance through to discharge. They will make an average annual salary of over $96K. Women’s Health NP: NPs who specialize in women’s health will bring in an average salary of over $85K. Family Practice NP: In a family practice, NPs act similarly to physicians. Their salary averages over $89K per year. Over 50 percent of all nurse practitioners specialize in family practice. Cardiology NP: Making an average annual paycheck of $96K, cardiology NPs work in the cardiac care unit of hospitals and other healthcare facilities. Pain Management NP: A NP with pain management skills can earn over $92K annually. To keep up with trends, participate in continuing education, and have networking resources, many nurse practitioners join related professional organizations and associations. There are numerous organizations specifically for nurses, including nurse practitioners. Below are only a few of the many associations you could join. American Association of Nurse Practitioners: Founded in 1985, the AANP is the largest organization for and of NPs of all specialties. The National Organization of Nurse Practitioners Faculties: Founded in the mid-1970s, the NONPF helps to establish educational guidelines and curriculum for NP programs. American Nurses Association: The ANA aids and promotes safe and healthy working conditions for nurses, along with setting the standards for high quality nursing and health care. National Academy of Pediatric Nurse Practitioners: Established in 1973, NAPNAP has over 8,500 members, all pediatric nurses ranging from RNs to NPs. Doctors of Nursing Practice: DNP was founded in 2006 by a group of doctors of nursing students. It’s a not-for-profit organization that hold annual conferences for Doctors of Nursing Practice. Gerontological Advanced Practice Nurses Association: The GAPNA began in 1981 with the intention of holding continuing education conferences. Nurse Practitioners in Women’s Health: With the stated mission of ensuring the provision of quality primary and specialty healthcare to women everywhere, the NPWH was born in 1980. The Bureau of Labor Statistics reports that the median annual salary for nurse practitioners is over $107K. The lowest annual median salary is around $74K, while those in the top tier are earning well over $175K per year. Your pay can look different depending on the industry you’re employed in, as well as your geographic location. A boom in people receiving insurance, the population of aging baby-boomers, and people beginning to take better care of themselves are all factors driving the employment growth for nurse practitioners to 34 percent through 2026. As a nurse practitioner, you’ll be immersed in a career that can be as diverse as you’re willing to make it. Just like most other nursing careers, job satisfaction is high for most nurse practitioners. There’s nothing that beats helping people while remaining happy in your career choice!